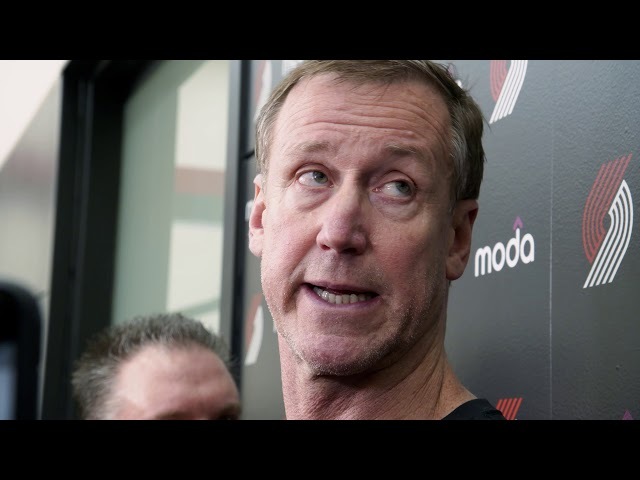 Portland's 11-4 record in January was the best in that month in 16 seasons. 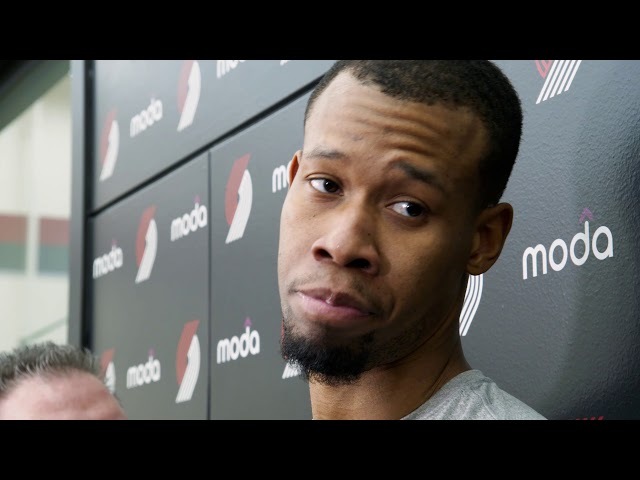 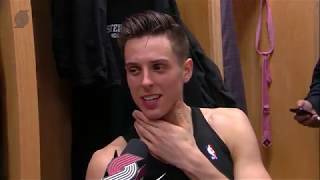 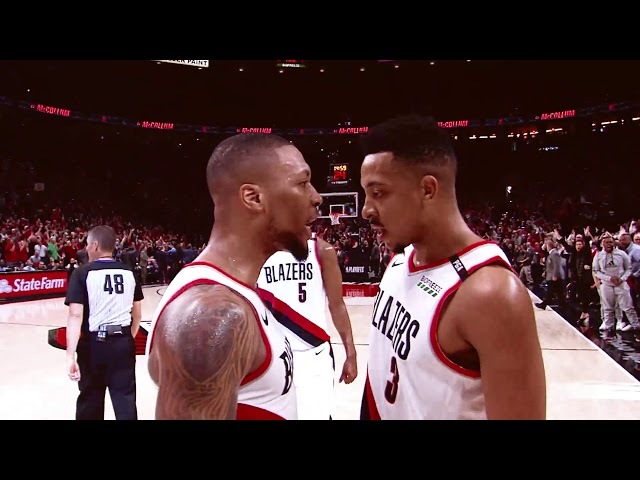 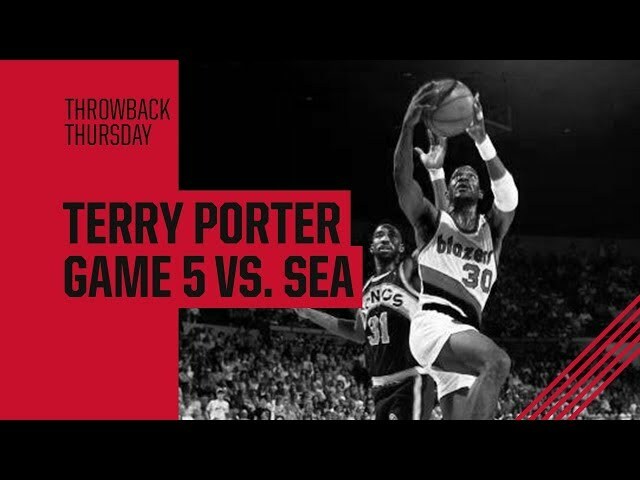 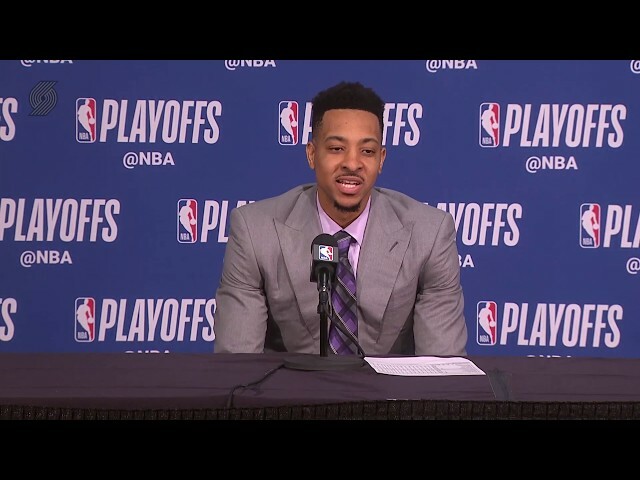 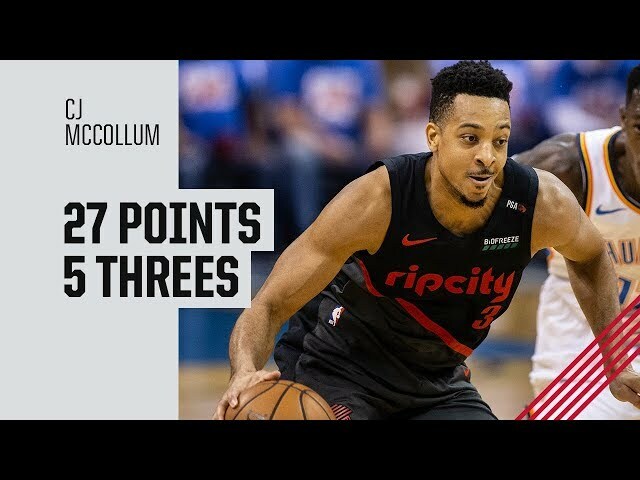 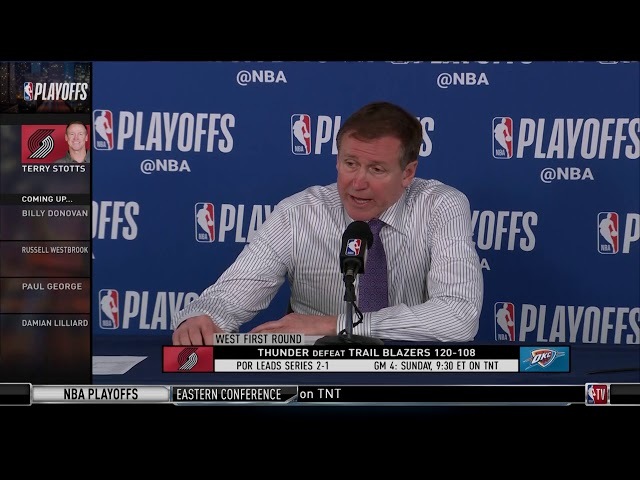 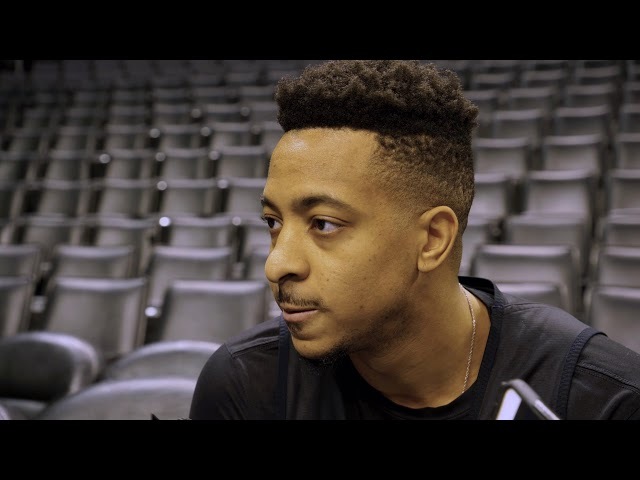 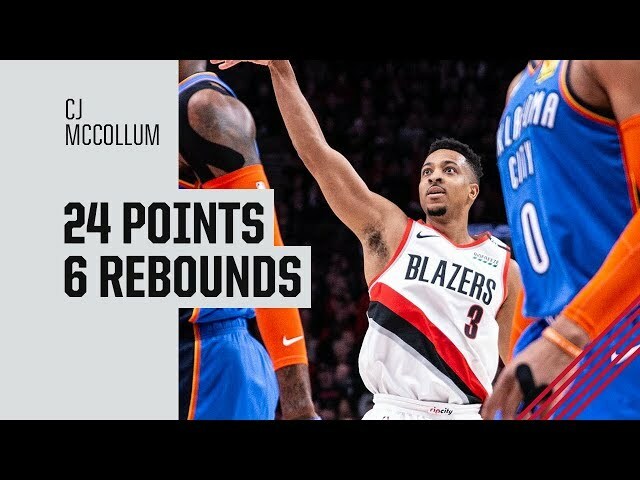 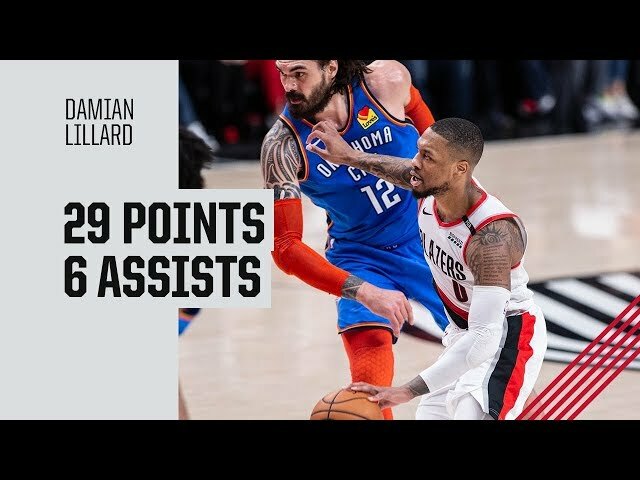 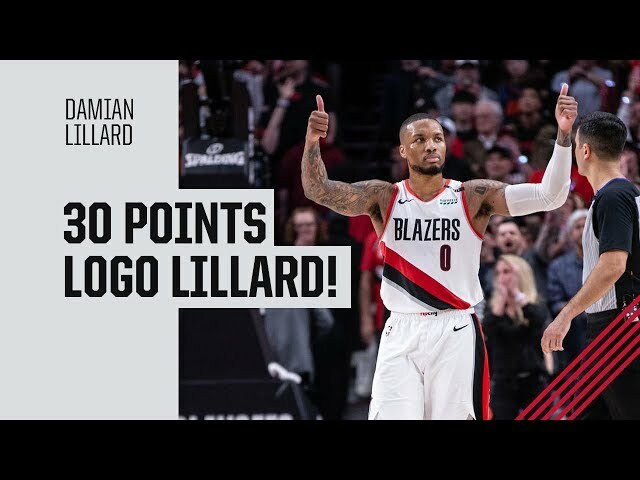 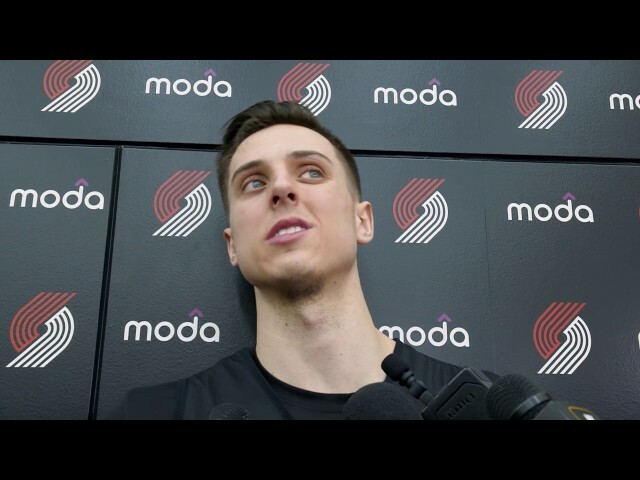 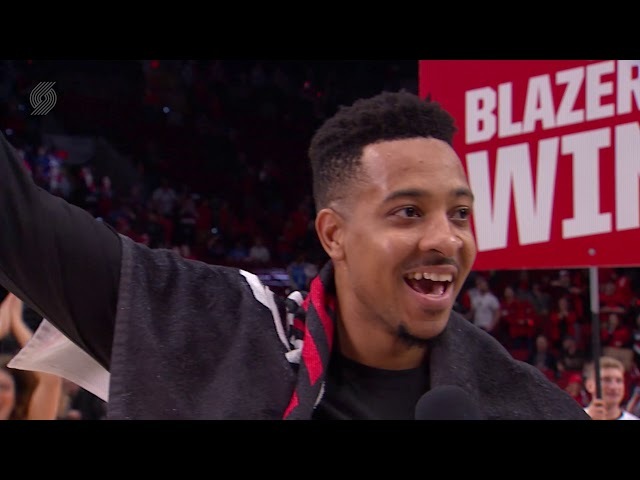 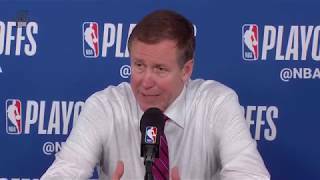 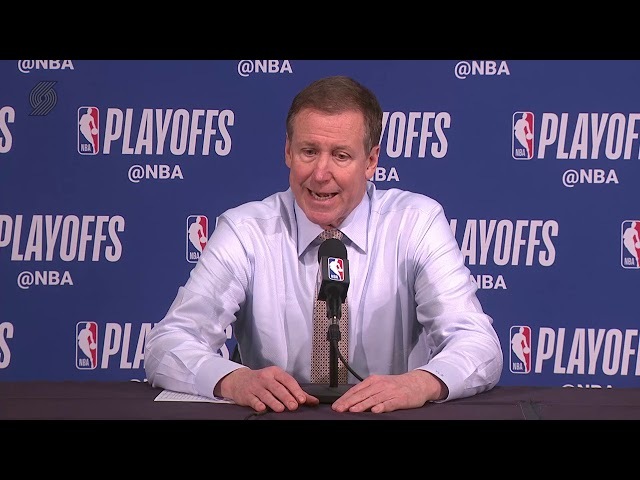 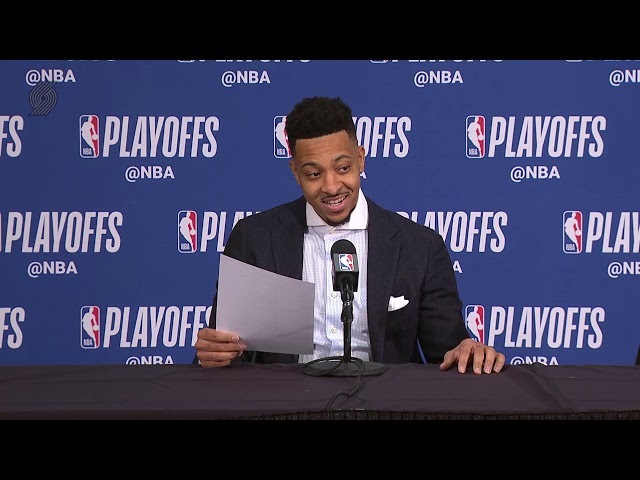 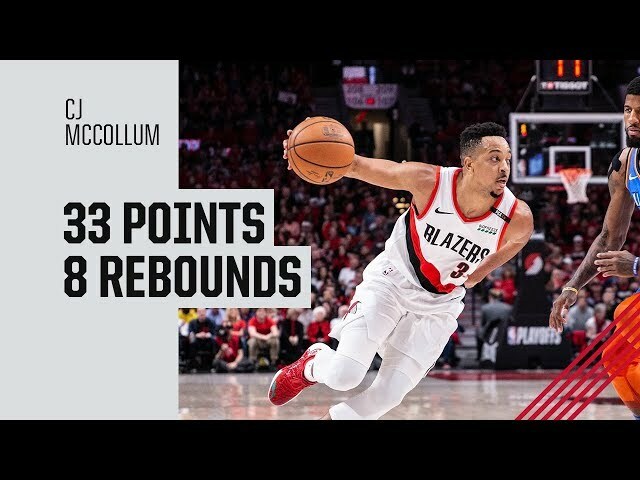 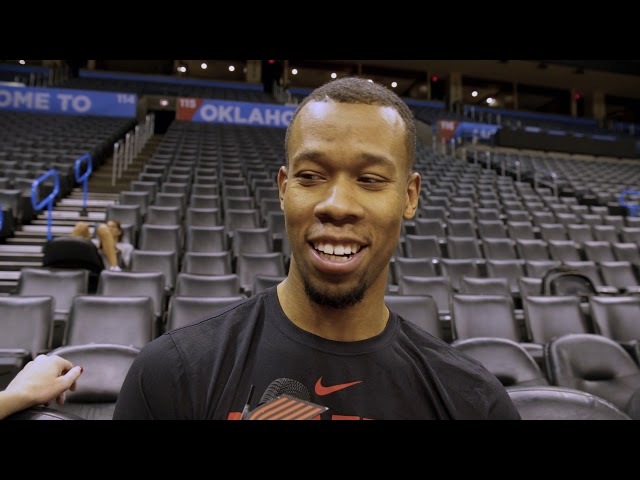 Terry Stotts: "We gotta close 'em out now"
Zach Collins: "I just try to come with [energy] every night"
Moe Harkless: "We had to leave it all out there on the floor"
Damian Lillard: "We took care of home court and they're trying to do the same"
Damian Lillard: "This is where the series is going to go one way or another"
Enes Kanter: "I don't think I'm gonna get booed"
CJ McCollum: "I'm a shark. 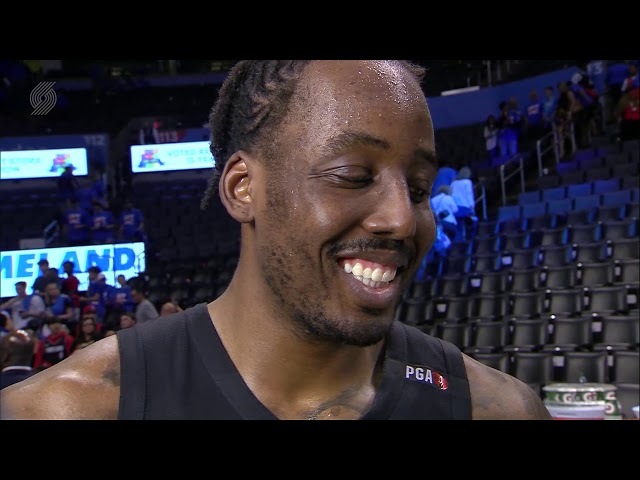 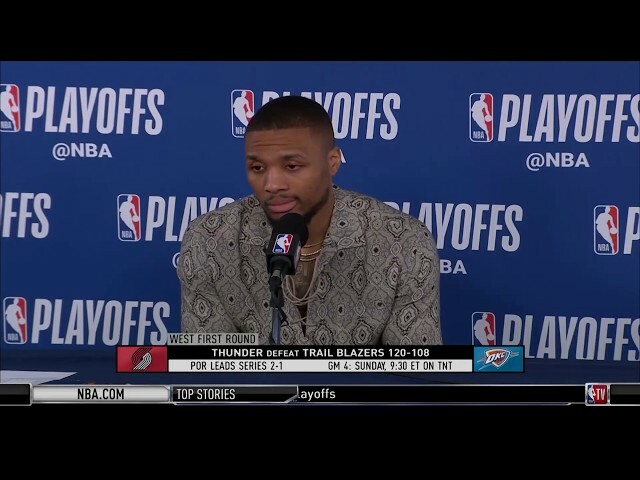 Sharks eat." 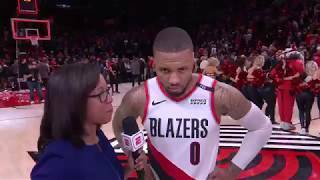 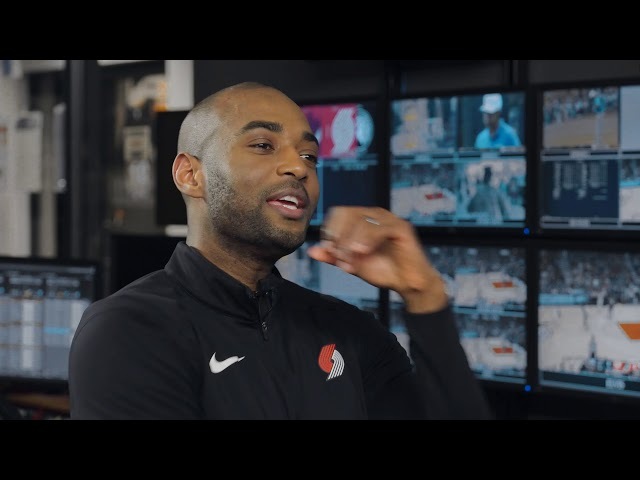 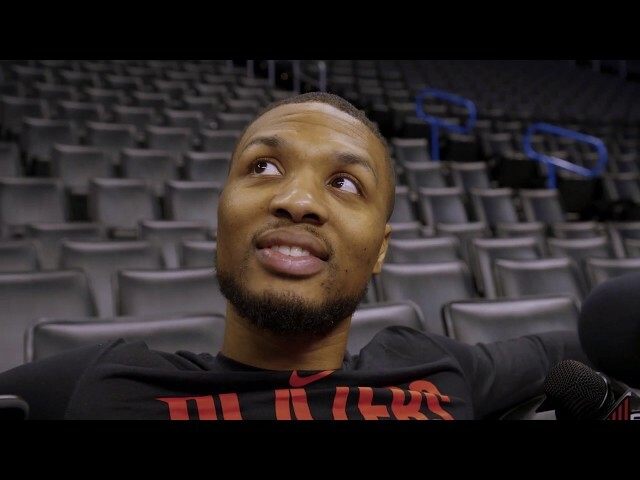 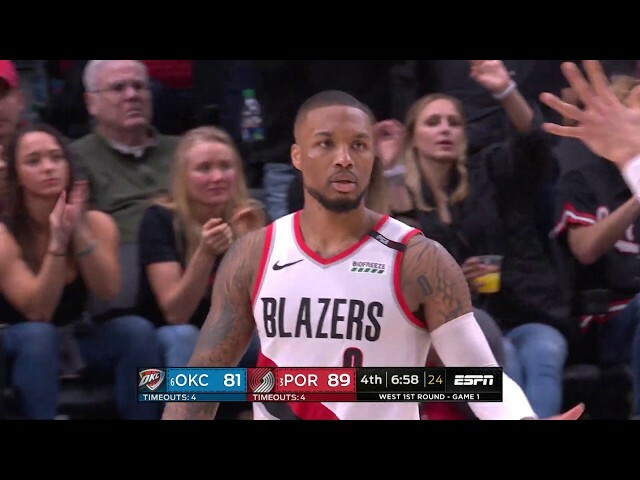 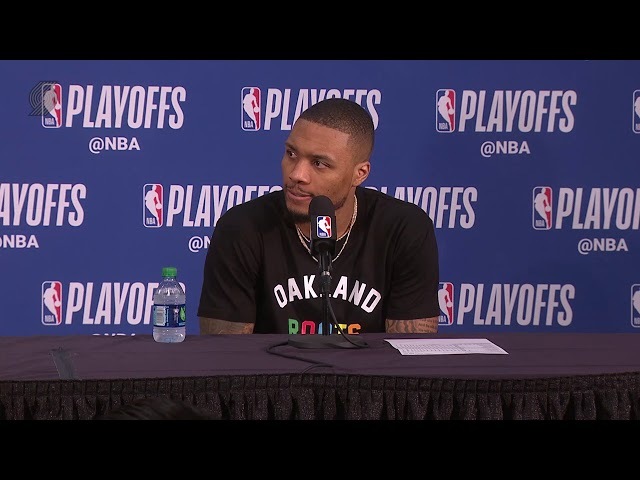 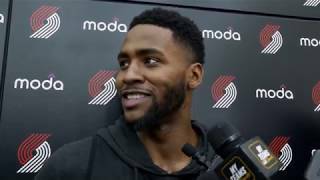 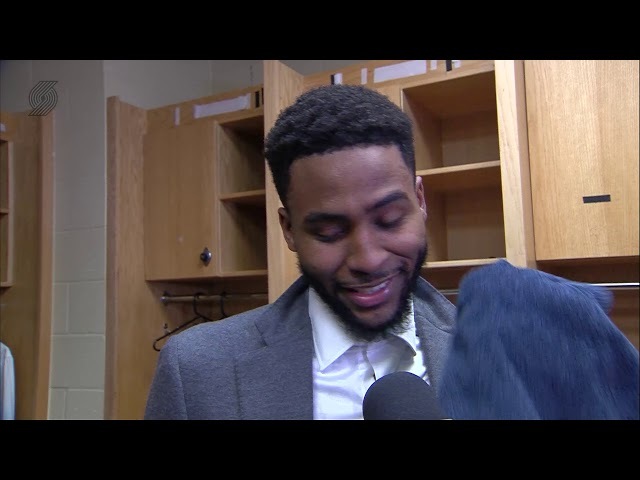 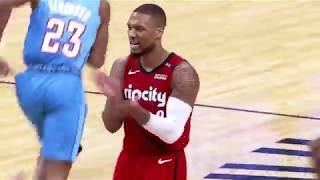 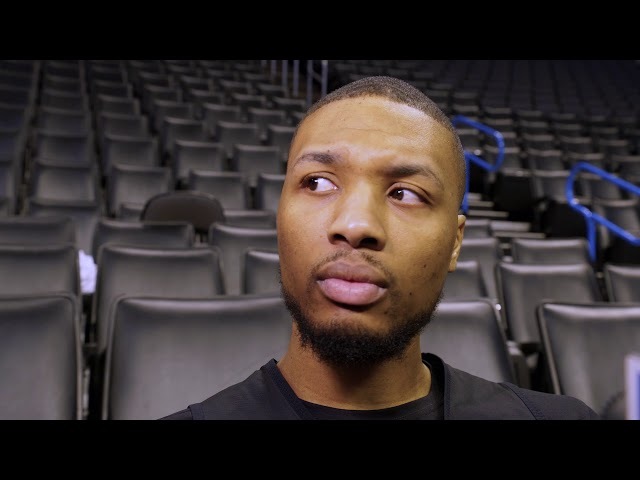 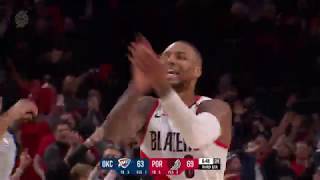 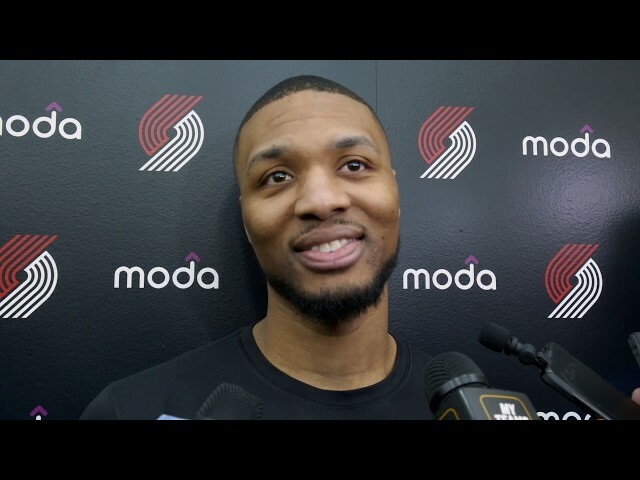 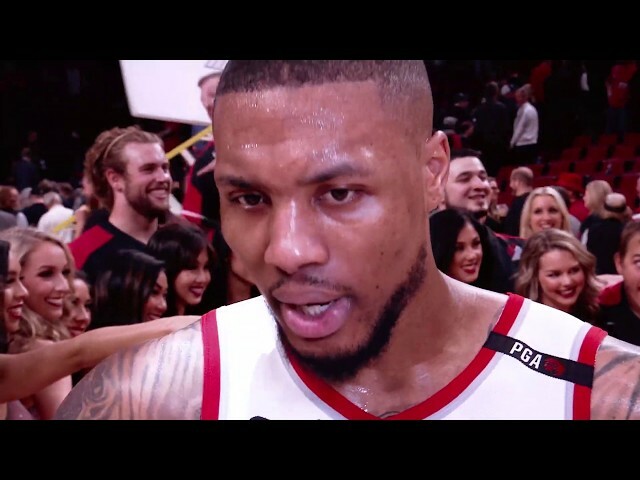 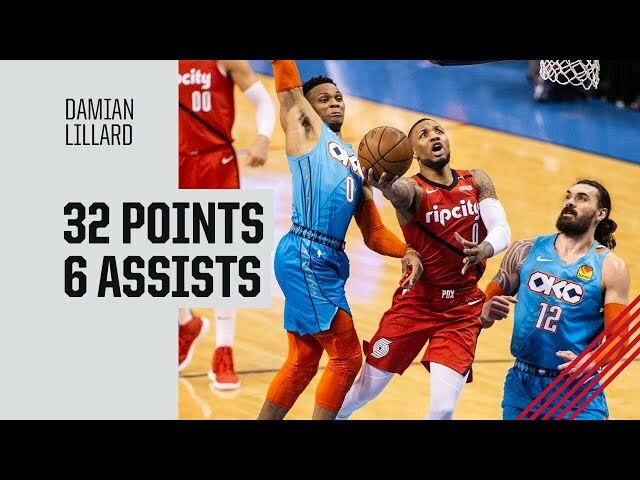 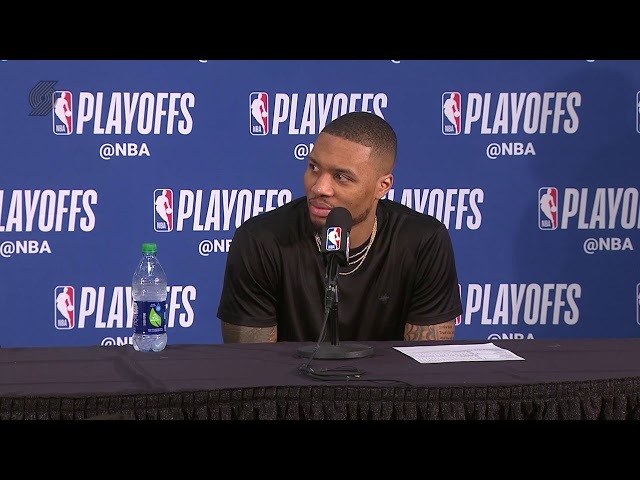 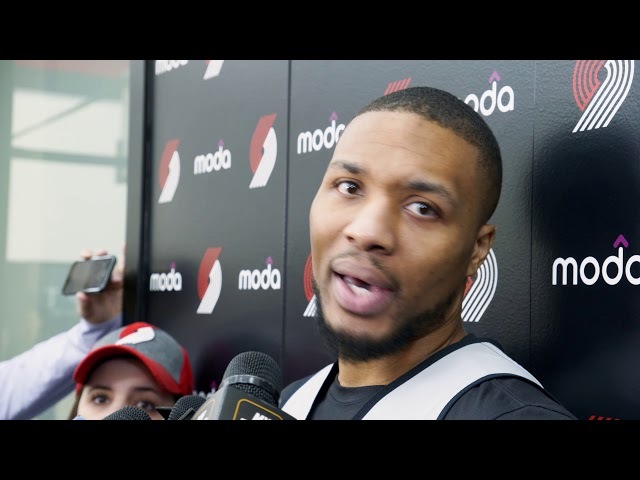 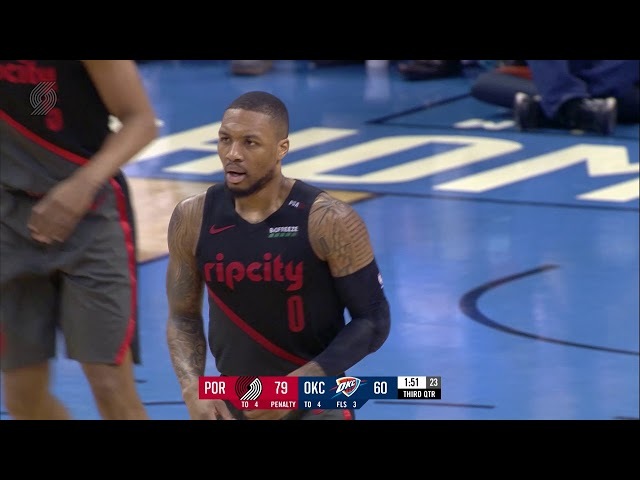 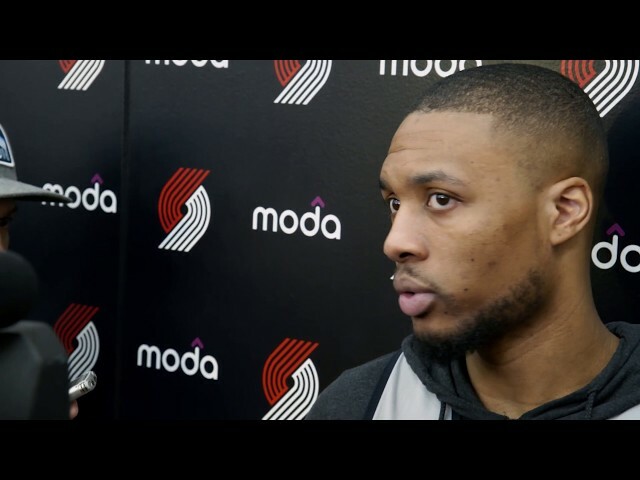 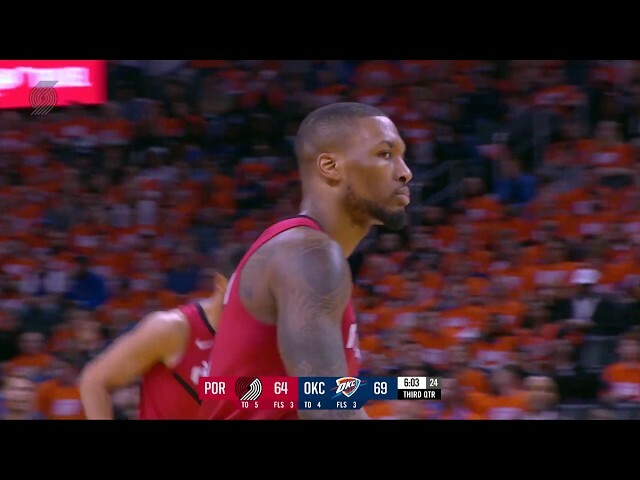 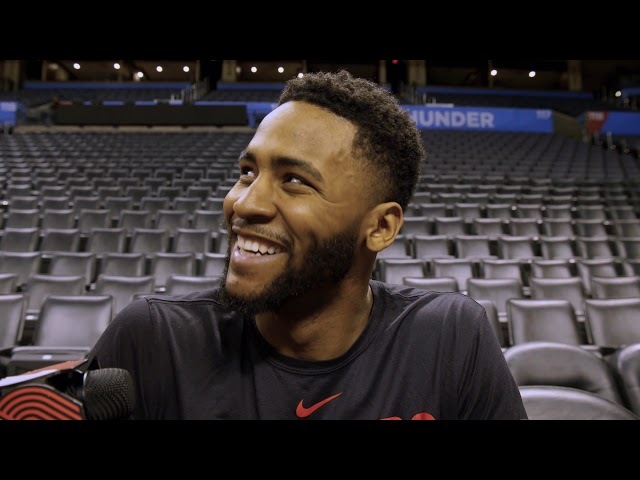 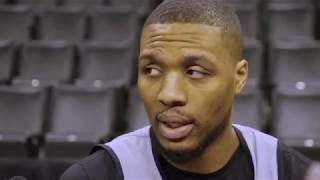 Moe Harkless: "I expect them to come out and play super hard"
Damian Lillard: "It's probably gonna be the toughest game of the series"
Damian Lillard: "The series doesn't start til you win a game on the road"
Logo Lillard | What's the Secret? 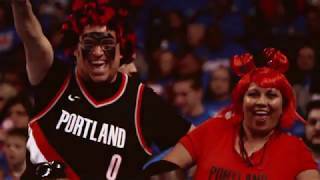 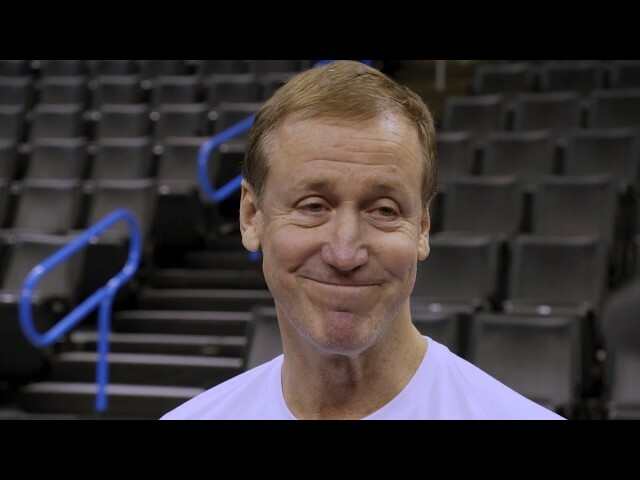 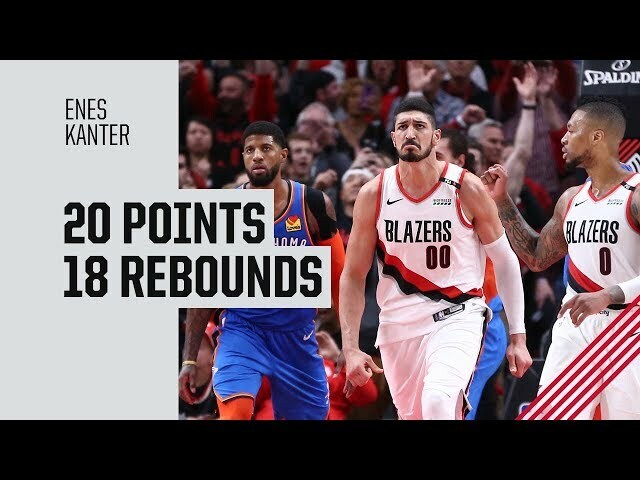 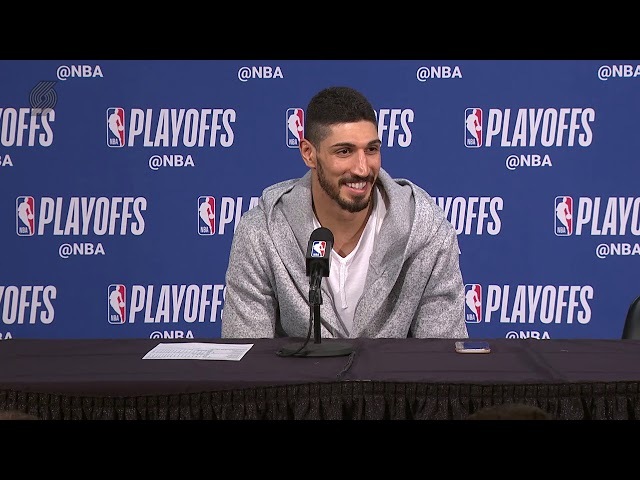 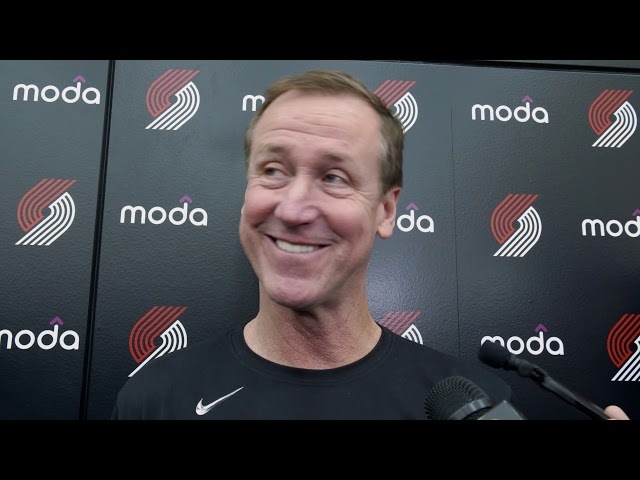 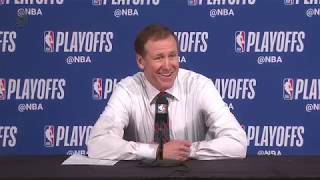 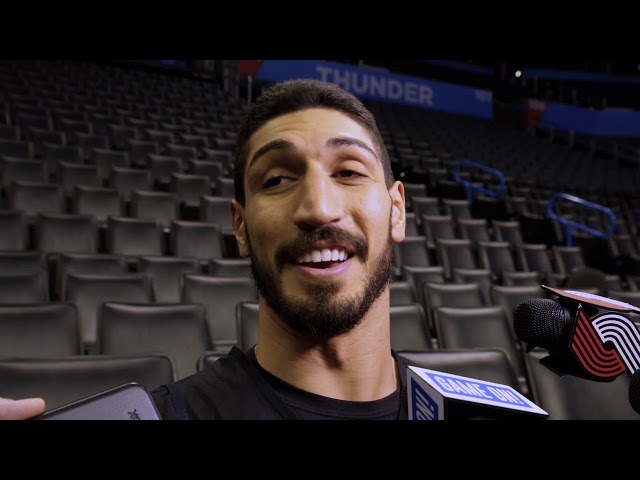 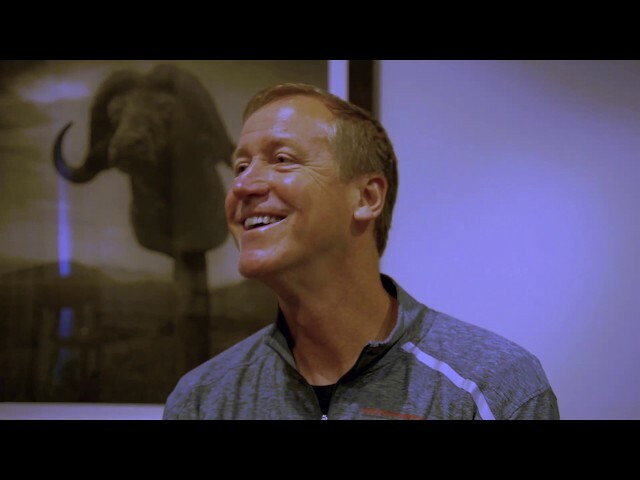 Terry Stotts on Kanter: "He's a really good player, we knew that when we got him"
Damian Lillard: "I don't know if I've seen [Kanter] shoot with his left hand since he's been here"
Moe Harkless: "It's the playoffs, we're not our there trying to make friends"
Zach Collins: "We know how much better we can play"
Terry Stotts: "At this stage in the season you have to have confidence"
Damian Lillard: "Russ is one of the top point guards in the league & so am I"